How would you describe the feeling of Del Mar on a race day? More festive, especially on the weekends, than at any other track I’ve experienced. There was a bit of poetic license taken in the theme song line “There’s a smile on every face,” but I believe Del Mar could be the leading track in the country for average daily smiles or smiles per capita. The time of the year of the meeting (summer/ vacation), the location by the beach and the prevailing Southern California casual-and-laid-back attitude, stereotypical as that may be, just naturally promote that kind of feeling. What was it about Zenyatta that captivated fans? First of all, of course, it was winning. Winners are captivating. And the way she did it, coming from far back and creating a moment, or maybe just an instant, in every race where even true believers had to think ‘She’s not going to make it this time.’ But she did in 19 out of 20. Also, Zenyatta somehow became very good at inter-species communication through body language, movement and things I can’t really explain. And her human connections did a marvelous job of letting the people see that through the media. There’s a word for attributing human form or personality to things not human: anthropomorphizing. Editors tend to discourage turf writers from going there because racehorses are, bottom line, animals. But Zenyatta’s connections and the Zenyatta Zealots were under no such restraints. They anthropomorphized the heck out of Zenyatta, and to me it was delightful to see and experience. How does Del Mar’s almost 75-year legacy compare to a venue like Churchill Downs? Churchill Downs had been in existence for 62 years and the Kentucky Derby was well-established as the premier race in the country before Del Mar was founded. So in comparison, Del Mar is always going to be a “come-lately” without the history and tradition that have ways of stirring the soul. I felt it at Churchill Downs the first time I attended a Kentucky Derby, as a senior in college, again two years later when I took a leave from the Army to attend the race and every one of the 20 times I covered the Derby for the San Diego Union and Union-Tribune. That said, I feel Del Mar has built an interesting and colorful legacy of its own and made itself special in its own right. Which I hope I have communicated in the book. Is there a rivalry or a bond between Del Mar and Santa Anita? I’d say neither. Del Mar, Santa Anita and Hollywood Park are separate entities, albeit with some personnel crossover, operating in the same business at differing times of the year according to dates assigned by the California Horse Racing Board. It’s the same across the country where there’s more than one track in a state or area. The elements for the product they produce and put before the public — the horses and horsemen — are much in common but vary from season to season. Some of the customers are common to all, some are unique to each. They have separate marketing and other business challenges and must focus on their own situations rather than being concerned, one way or the other, with the other tracks. What is a favorite moment from your time covering Del Mar’s summer meet? 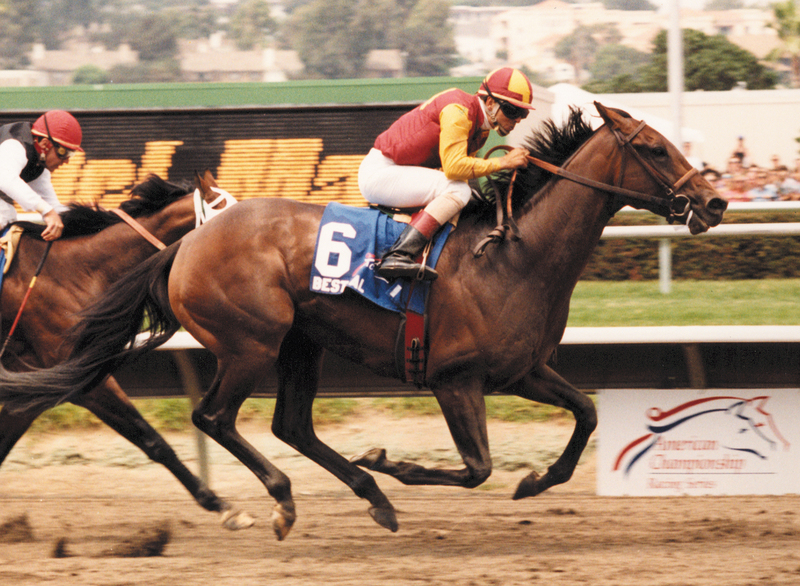 The inaugural Pacific Classic, Del Mar’s first $1 million race in 1991. Coming down from the rooftop press box to the winner’s circle for post-race interviews, I happened to get to the top of the final flight of steps leading to trackside at the same time as John and Betty Mabee, the owners of winner Best Pal and the longtime patron and matron of the track. The response of the crowd, and the response to it of the Mabees, as they descended the steps, was a moment I don’t expect I’ll ever forget. Is there something in particular you miss after retiring from sports journalism? The virtually daily interaction with colleagues, news sources and news makers. The challenge of producing something hopefully understandable, informative and possibly entertaining, usually under fairly stressful deadline pressure. The gratification of seeing what you’d produced the next morning in the paper. Who are some of the turf writers that you respect? There have been a lot in my over two decades of membership and two terms on the board of directors of the National Turf Writers Association, now the National Turf Writers and Broadcasters Association. In my 36 year newspaper career, I was a member of several writers groups, including the golf and college basketball organizations, and the NTWA folks are second to none for professionalism and journalist excellence. I feel fortunate to have been able to meet and get to know many of them covering major racing events for more than a quarter of a century. Getting to know them made it a lot easier to take when their Eclipse and other award-winning stories made my submissions to the competitions pale by comparison year after year. Going from my base in the West Coast and working east the names which I hope racing fans have and will continue to read include: Bill Christine of the Los Angeles Times, Kevin Modesti of the L.A. Daily News, Jay Hovdey and Jay Privman of the Daily Racing Form, Jenny Rees of the Louisville Courier Journal, Maryjean Wall of the Lexington Herald-Leader, Bob Fortus of the New Orleans Times-Picayune, Gary West of the Fort Worth Star-Telegram, Bill Finley, now of ESPN, and Bill Nack. I emailed Bill Nack, author of “Secretariat” and in my view the best cross-genre — newspaper, magazine, book — writer on horse racing seeking advice on whether I should take on this book project. He replied promptly and with encouraging words and the book is the result. Is there a moment or event in horse racing history that you wish you had been present for? 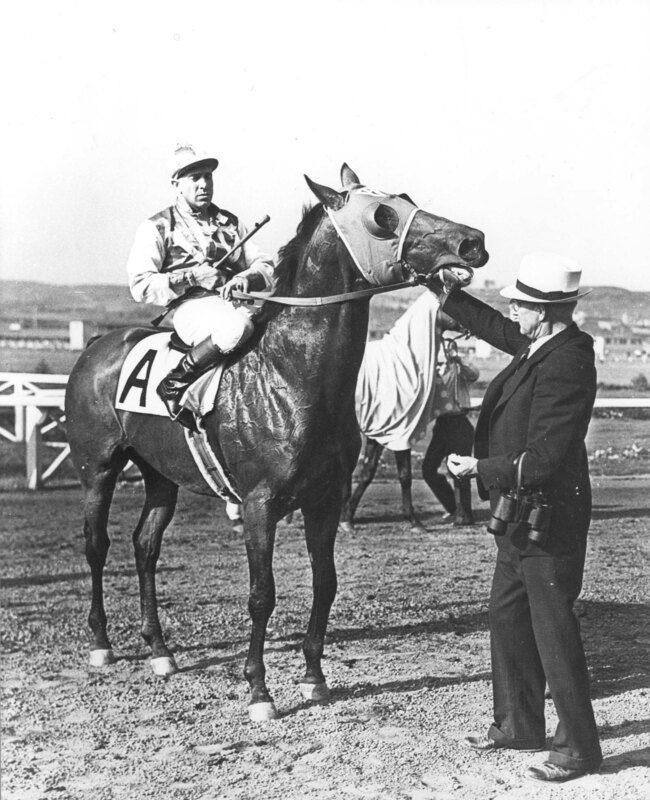 I’d have loved to have been there for Seabiscuit’s match races, the one at Del Mar or the one against War Admiral. In my lifetime, I’d love to have been at Belmont Park for Secretariat’s Belmont Stakes in 1973. Given the emotion it brought forth watching it on television then, and still brings forth watching clips of today, I can only imagine what it might have been like to actually be there on site. If you could match any jockey with any horse who do you think would make an unbeatable team? I don’t know that you could put together an unbeatable team, even theoretically. But there have been a couple of real teams that I’ve seen that lived up to, or nearly lived up to, the standard. Randy Romero and Personal Ensign were an unbeatable team from 1986-88 and I was privileged to be there for the Breeders’ Cup Distaff, November 5, 1988 at Churchill Downs when Personal Ensign made the stirring late run to nip Winning Colors at the wire and finish her career 14-0. Romero was aboard for all but one of those wins, the last 10 in a row. Jerry Bailey was up for the one Romero missed. 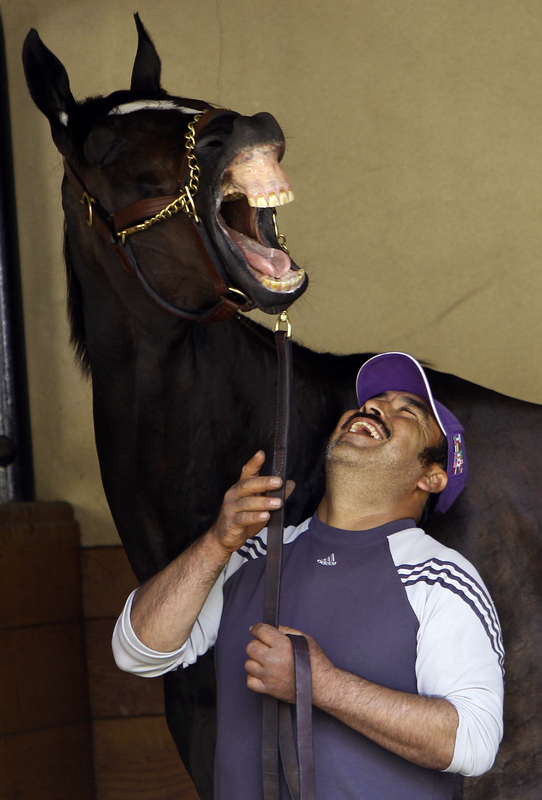 Of course, Mike Smith and Zenyatta were as close to unbeatable as we’re likely to see for a long time to come.